GoDaddy Inc. (NYSE: GDDY), the world’s largest cloud platform dedicated to small, independent ventures, today announced the launch of GoDaddy GoCentral, a new service that combines a mobile-optimized website builder with an integrated set of marketing and e-commerce tools to help anyone create an audience for their idea or business. GoCentral ushers in a new era of smart website creation defined by a focus on results, including attracting visitors and driving sales. 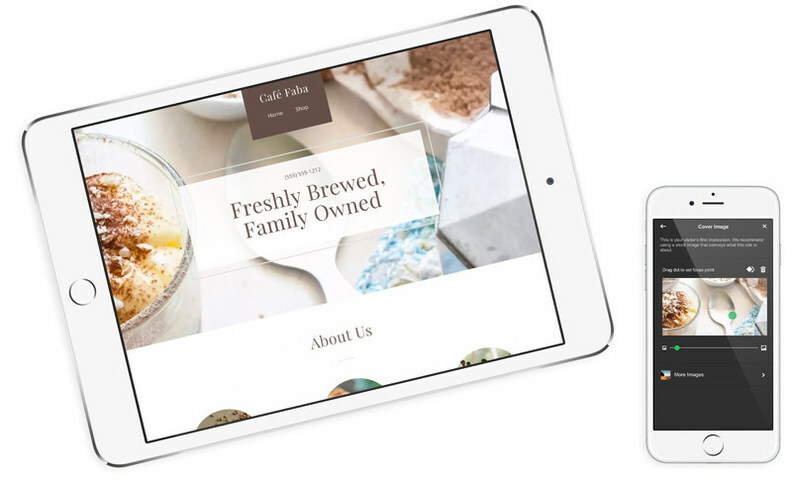 GoCentral enables people to design a professional website in under an hour, even on a mobile phone. With support for more than 1,500 ideas or industries, from plumbers to hairstylists to soccer coaches, users simply type in their name and industry or idea, and GoCentral’s smart learning system produces a near-complete website, pre-filled with relevant sections and professional images. GoCentral’s intuitive user interface helps anyone, including technology and design novices, easily customize and update their sites on the go. All sites created on GoCentral are built fully responsive and look great on phones, tablets and computers. GoDaddy’s smart learning system surfaces insights and actions to GoCentral users to help them achieve their goals. For instance, upon logging in, customers receive engagement and activity updates and key ways to improve results, which might be something as simple as attaching their website to a social network or advice for developing a geographic-targeted Facebook advertising campaign. GoDaddy’s learning system is powered by smart algorithms and machine learning that evolve with customers throughout their lifecycles to optimize results. GoCentral’s integrated marketing features enable people to quickly improve their search rankings on Google and get their business on Facebook, leveraging the information and photos from their GoCentral website. This same information helps customers jumpstart email marketing campaigns so customers, even those with no email marketing experience, can engage existing contacts and collect new ones. GoCentral’s Online Store includes everything needed to sell online, with a focus on making sales happen. New improvements allow customers to check out fast with a streamlined mobile checkout with reduced taps and swipes. Apple Pay support is built directly into the product, as are major credit cards and Paypal. Integrated product and inventory management and customizable shipping simplify the selling setup experience. GoDaddy will give GoCentral the center stage in this year’s much-anticipated Super Bowl commercial. A special thirty-second TV spot is being created to kick-off a fully integrated GoCentral marketing campaign. The big game commercial plays to the cultural and commercial power of the Internet by way of iconic images and humor. It’s set to air in the first quarter of the Feburary 5th broadcast event which is expected to be viewed by more than 100 million viewers. It’s the first time GoDaddy has used its famed Super Bowl spotlight to feature a new service. To find out more about GoDaddy GoCentral, visit http://www.godaddy.com/gocentral. GoDaddy powers the world’s largest cloud platform dedicated to small, independent ventures. With more than 14.5 million customers worldwide and more than 63 million domain names under management, GoDaddy is the place people come to name their idea, build a professional website, attract customers and manage their work. Our mission is to give our customers the tools, insights and the people to transform their ideas and personal initiative into success. To learn more about the company, visit www.GoDaddy.com.